SampleTank 3 Free only contains one instrument at the moment... but there are more to come. 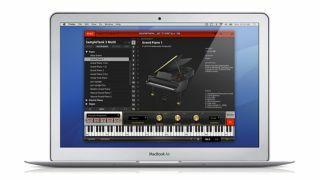 A month or so after releasing its long-awaited SampleTank 3 software sound module, IK Multimedia has unveiled its customary free version for PC and Mac. This mini edition is designed to demonstrate what the full product has to offer - and to tempt a few users into buying it, IK Multimedia surely hopes - but may prove to be a useful tool in its own right. A total of 22 instruments will eventually be included. The first of these is the Grand Piano 1 SE (a sampled emulation of a Hamburg-made concert piano), and IK will gradually add more over the coming weeks. You can find out more and do the download thing on the IK Multimedia website.